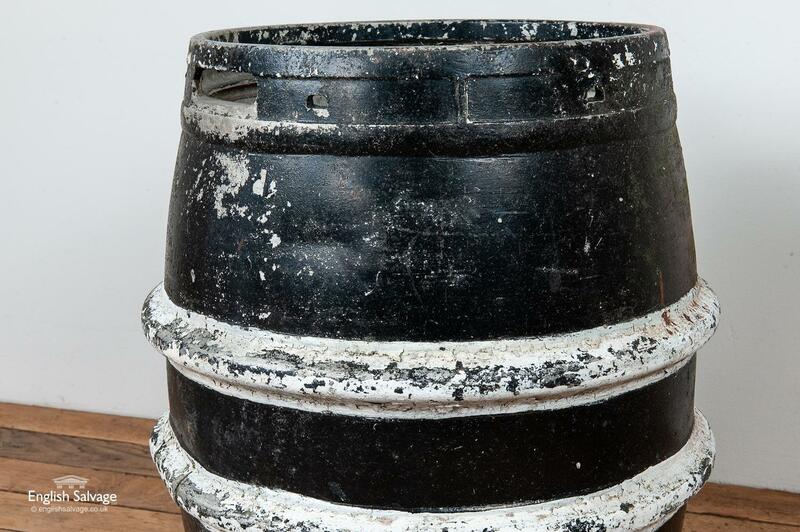 A vintage metal beer keg / beer barrel (no lid). 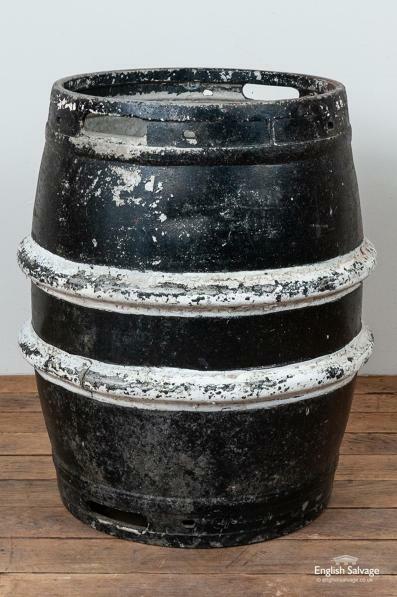 The body has been painted black and the two raised bands white. Paint is flaking in places. Heavy item. Would make an unusual planter or could be repurposed as a table with the addition of a top. 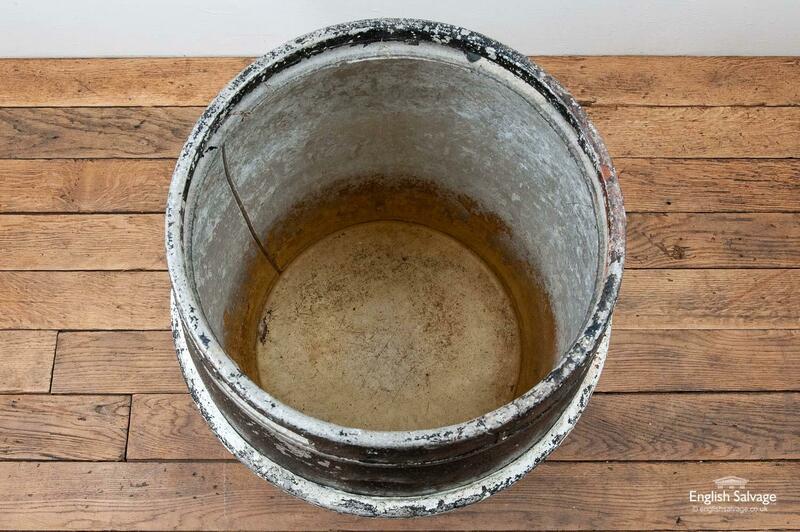 Measurements given are the maximum, the diameter at the top of the barrel is 40.5cm.